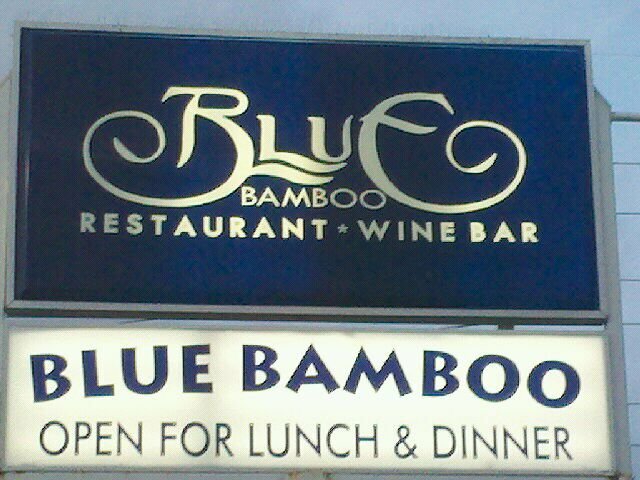 I met Chef owner Dennis Chan when he first opened Blue Bamboo in 2005. Not your usual “Chinese” I quickly converted to his “Hip Asian” style of presenting the classics, as well as his signature dishes. Chef Chan put his own spin on dishes we all eat and has shaken up the status quo for Chinese food diners in this town. As well as some amazing food, once monthly you can indulge your senses in Dim Sum on Sunday and if you find the time take the cooking classes also offered monthly. For the full story as well as the schedules posted on the restaurant web site, you can sign up for the news letter to receive notification of all events or even purchase Chef Chan cookbook. On this particular visit I was here for a Pop Up dinner event. Although the dishes we sampled are not on the daily menu, each dish showcases the talent and versatility of Chef Chan and his staff. 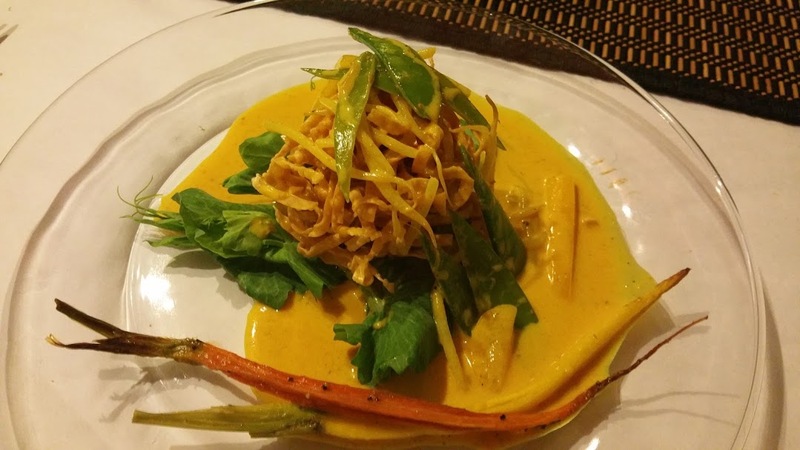 If you have never visited Blue Bamboo, I am hopeful the pictures you see posted here will tempt you to give it a try to truly experience the talent of this chef. 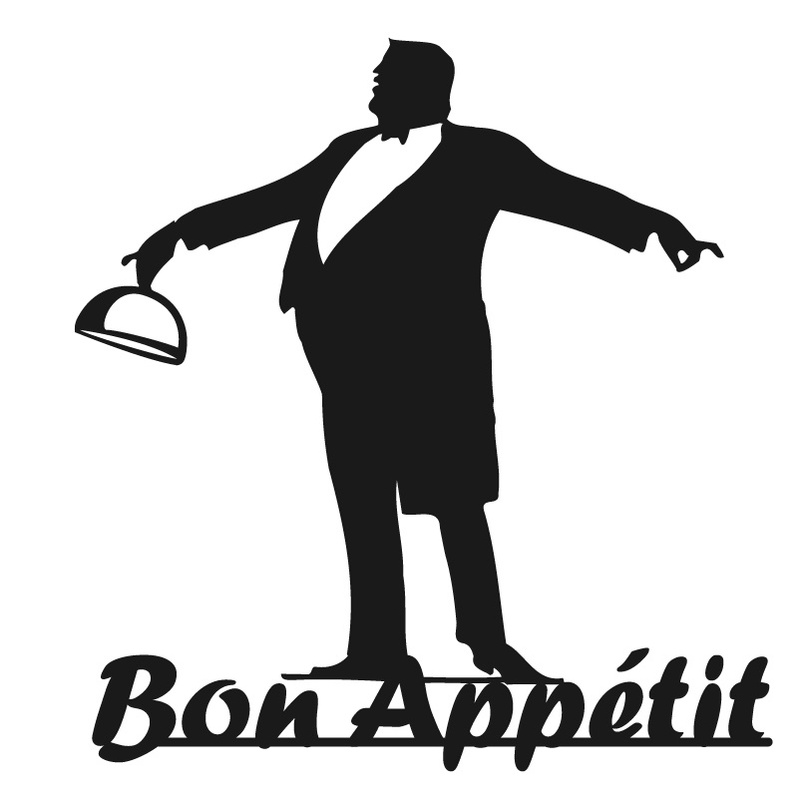 The menu is a wonderful combination of everything you have eaten before and a few items that are well worth sampling. 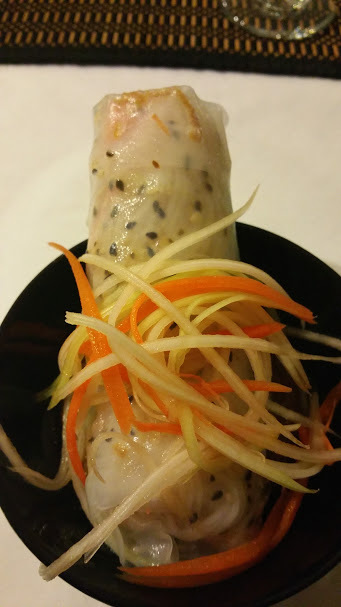 We began the dinner with a Vietnamese Green Papaya Summer Roll, packed full of the freshest greens, shaved carrots, mint and whole shrimp, served with a spicy dipping sauce. A perfect healthy choice to indulge in, and I often order them in place of the deep fried egg roll. Next up a “Hip Asia” spin on the usual fried chicken, was Japanese Ramen Fried Chicken. Yes fried Ramen and it was delightful. 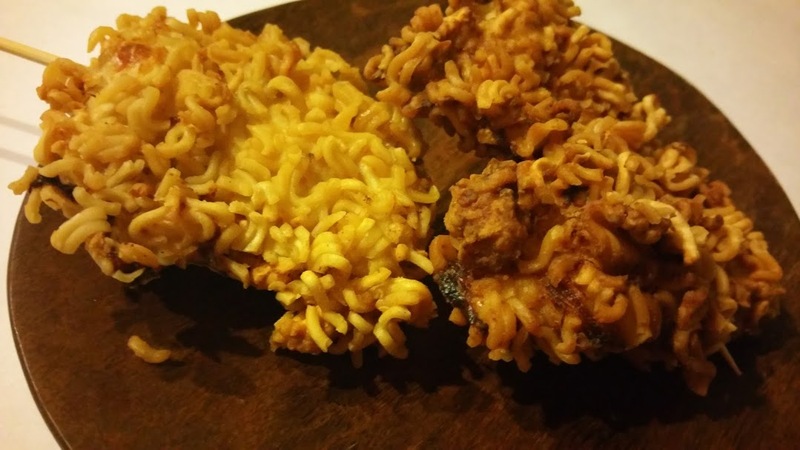 Covered with the crisp fried Ramen, that offered an amazing crunch factor combined with the tender hot chicken. I must admit, having eaten fried Ramen in the past, I prefer the method over the traditional fried chicken, I grew up with. Heresy right? The third course Chinese Pan-Seared Pork Bao was my least favorite. Not because there was anything wrong with it, I am just not a fan of this particular dish. I will tell you I did cut it in half and scoop out the filling, which was a flavorful combination of pork and chopped leafy vegetables. Everyone else at the table devoured the little bun and someone asked for my now meatless little pocket. The presentation clean and appealing. 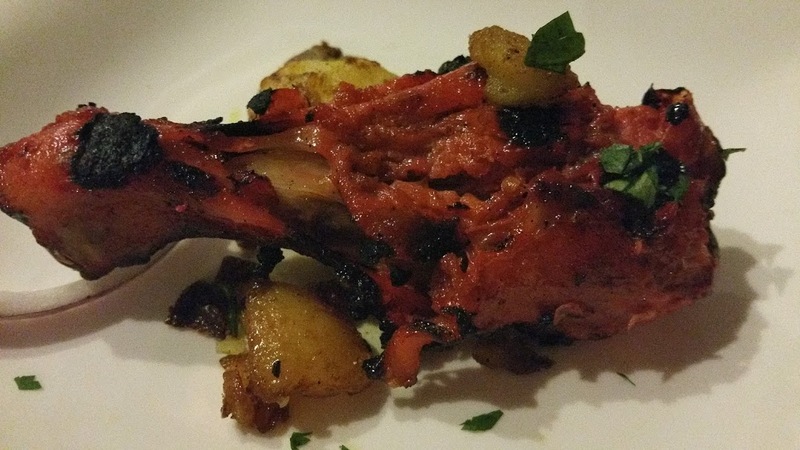 Moving on to number four dish, a finger food well worth the mess, Indian Tandoori Chicken. Well I made it a finger food, others used the utensils. Pungent with the taste and aroma of the marinade and bright with the redness of combined paprika other spices, this dish was a winner. I like everything about spicy and this dish totally satisfied all the taste buds. Winding down now a great addition to the spice just experienced with the Tandoori a bright and well plated Indonesian Curry Pasta, the colors were just wonderful, the flavor sublime. I would have gladly eaten more of this dish, but no one was willing to share. 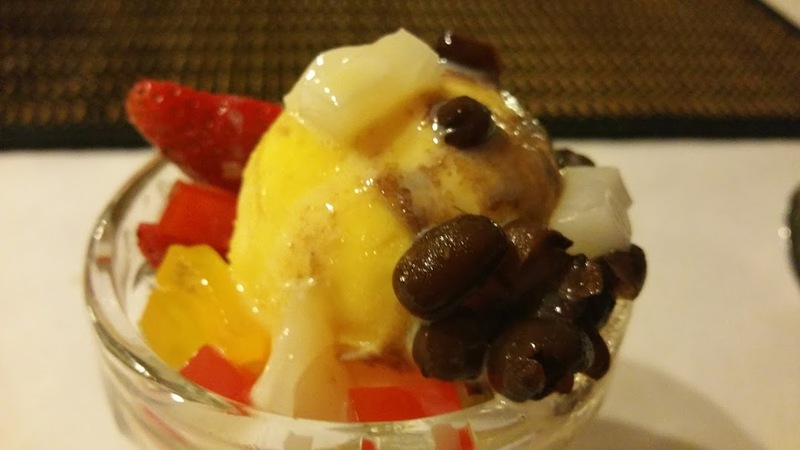 Our last offering was homage to one of the most amazing desserts ever, Halo Halo a popular Filipino dessert. 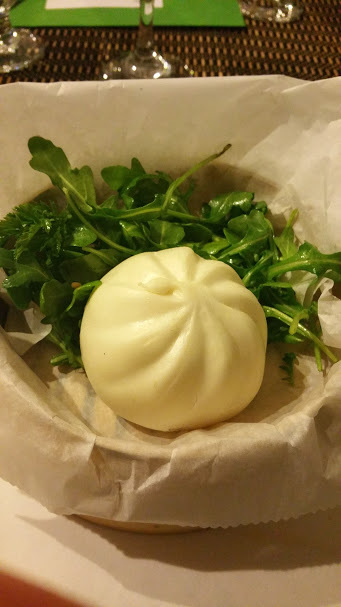 The Taiwanese Bao Bing. Perhaps not a colorful as the Halo Halo I have seen this was a dish that could hold its own. The fresh fruit and shaved ice was the perfect ending to a feast most pleasing. So if you and your besties have not been to Blue Bamboo, it may be time for a road trip. Check out the link above and let your mind wander over some amazing dishes. I can almost hear you smacking your lips.